A big old soppy thank you blog! 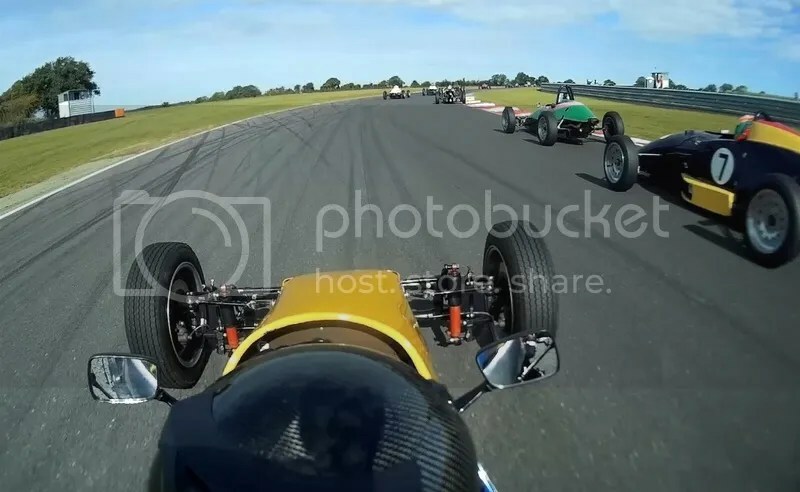 I’ve been holding off on a season review/thanks blog – mainly because I’m racing at the non-championship Formula Vee Festival this weekend at Brands Hatch! 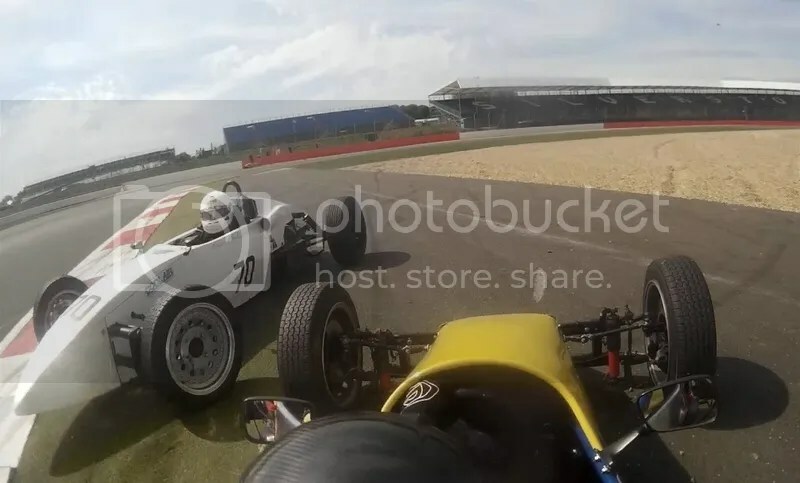 Also, I was kind-of hoping to be able to say that my wrist is better after the Donington crash, but sadly that is not the case… And this will probably be the crappest post on this blog for most of you who read this stuff (and if you’re one of them, cheers for sticking with my ramblings!). Anyway, I think I can now safely say that I have achieved my childhood dream. I am a Racing Driver! I have gone from playing with Matchbox cars on the living room carpet, to racing a full-on formula race car, and held my own out there, too! 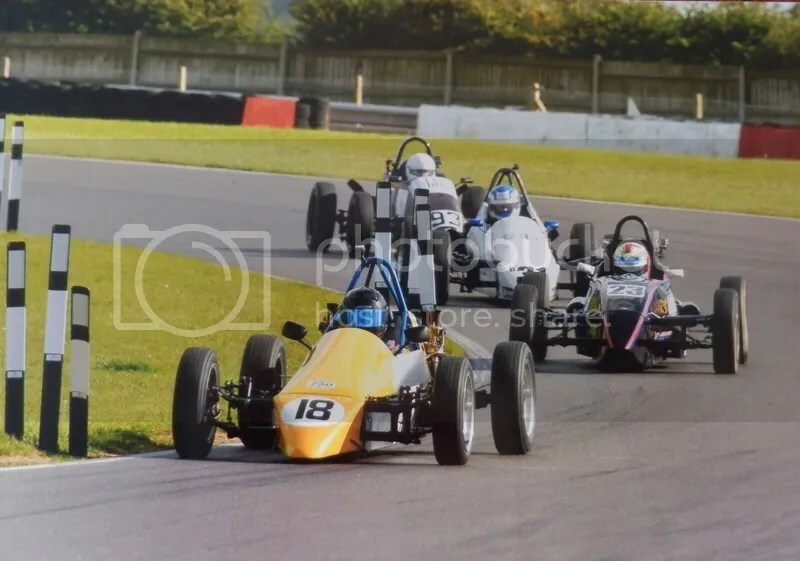 I have literally gone from no race experience – having never raced karts, raced anything at all, and not even done a car track day – to having a justifiable belief that I will finish in the top 10 of a national championship. 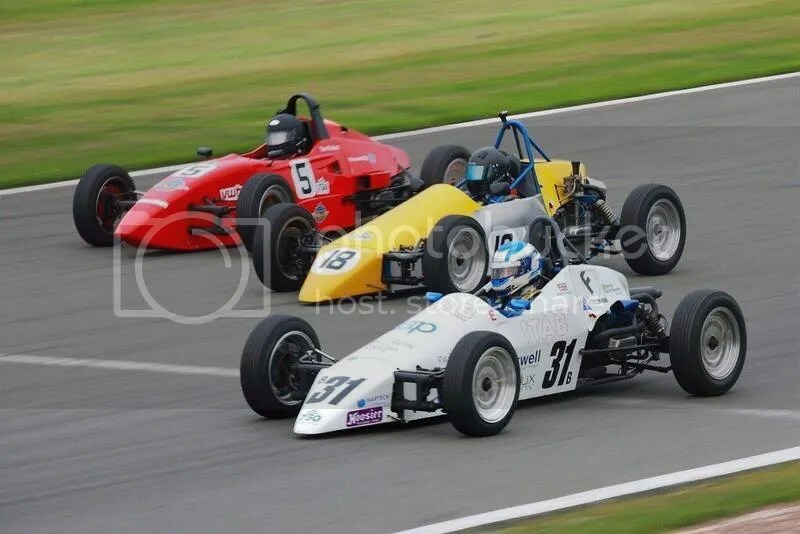 First and foremost I need to thank Glenn Hay – it’s been an honour and a privilege to have the help and support of a championship winner, and for him to even risk letting a total novice use his beautifully prepared Sheane has been amazing. He’s made sure I’m under no pressure at all, but in a way that’s made me want to get him even better results. He’s had to run around the paddock after me, push me and the car all over the place, and it’s 99.9% Glenn who’s slaved away on the car late into the night when I’ve had to admit I’m a bit of a mechanical numpty! 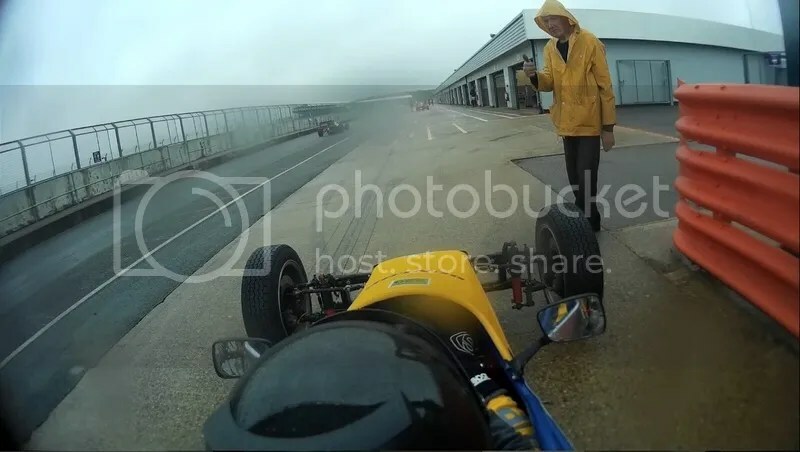 I know he didn’t expect much from me as a driver, and the look on his face when I came into the holding area 11th at Snetterton was priceless! I also have to thank fellow drivers Ben Miloudi for his advice and encouragement. Also James Harridge (who WILL be a championship winner!) for pre-race advice, braving the Silverstone Gestapo/Security to get me fuel, and race day chatter – and his mate Chris Kasch who I have a sneaking suspicion will also be on the grid at some point in the future. And Mike Oldknow and Nick Brown – who always race hard on track and have been big on advice! Martin Snarey. He’s been a massive help to me, and we seemed to have a pattern going where I beat him in the first race, and then he beats me for race 2. I thought I might break this by beating him twice at Donington but then I cocked it up and he beat me twice instead! I’m hoping he returns to Vee next year, because not only has he been a major motivator on track, but he’s a thoroughly nice chap who’s always got time to chat, and the same can be said for all his race-day crew. Tony Mitchell. I think Tony is one of the two people I’ve had more dices with than anyone. Again, he’s a great bloke off the track (I may as well not say this, because all the Vee drivers and crew are! ), and I fully trust him to push me and stick overtakes on me safely. At Snetteron I finished a few hundreths of a second behind him, so I won’t get much of a closer finish! Bill Stenning. This is the other car I’m normally to be found scrapping with. I managed to catch him for a chat at Donington, but weirdly before that had hardly spoken to him. I will try and chin-wag with you a bit more in the future! Steve Bailey. His Dad used to race with Glenn in the early days of Vee, and he’s been nothing but encouraging to me since I was spectating. Jesse Chamberlain and Jamie Harrison who are both coming on leaps and bounds, and happy to share advice with me. Also to Alex Jones, Ed Lowndes, Pete Belsey, Tim Probert (who says he’s never seen me without a smile on my face! 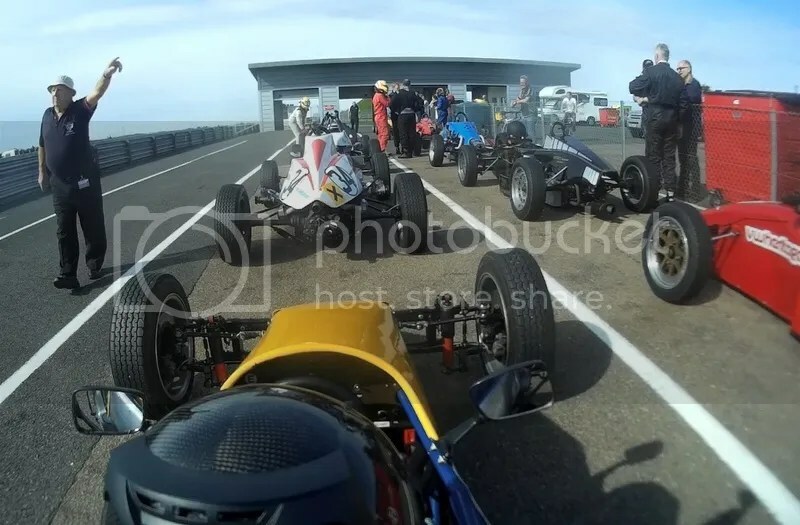 ), Sam Engineer, both Paul Smith’s, Wes Burton, Jack Wilkinson, Ian Jordan, Steve Ough (especially for pointing me the right way at Snetterton when I got lost in the paddock! ), Peter Studer and Martin Farmer (who I hope gets back on the grid full time for next year). 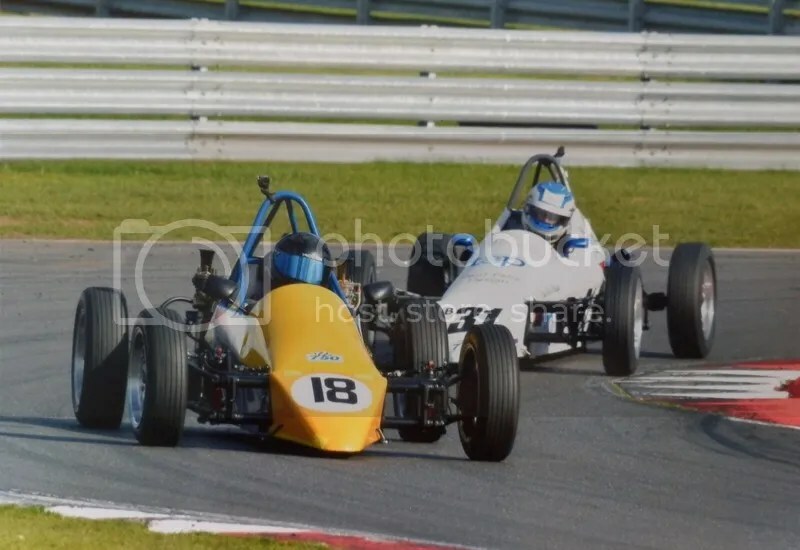 Oh, and speaking of part-timers, Chris Wilshire who’s been at the trackside this year but hopefully will also get back out there with us – He’s another driver I’ve been harassing for years with questions, and poking around his Sheane to see what he’s got that we need! Also Graham Gant and his mate (told you I’m crap with names!) who proper saved our lives at Silverstone when we’d worked through any chance to get food, and they brought us over a few slices of pizza and a hot coffee! And of course Alan Harding whose magic transporter of tools has saved many stricken Vee drivers in their hour of need! I think he was the one who came through with a steering link to get us out for race 2 at Donington. Dan from JooVuu – who has been a huge help in making sure I’ve got onboard footage of every race. It’s the best learning tool you can have, and their Mobius camera has been outstandingly reliable, and they’ve sent me anything I’ve asked for to help out or replace components! There are others who I haven’t had much of a chance to meet, yet, but I’m sure I will! Not to forget all the brilliant marshals without who none of us could do this, the officials, and the trackside photographers! And to my gorgeous fiancée Julie Kimberley, who’s had to put up with my outright obsession with all things RACECAR for the last few years, and shown nothing but support! Lastly, I also need to apologise to anyone I’ve missed here. Even more so, I want to apologise to anyone I may have unintentionally blanked at race meetings – I’m still completely overwhelmed by the whole scene, and this combined with a crap memory for faces, an even worse one for names and matching up the drivers when they’re not in their cars, adrenaline/stress-fueled pre-race blinkers, and my pretty shoddy social skills means I’ve undoubtedly offended a few. It is a massive task for me to be thrown in with over 100 brand new people (drivers and their friends/family/crew) and to try and get to know them all! That said, I’ll chat to anybody, so if you think I’m missing you out PLEASE come and say hello. You’ve all made me feel really welcome as a new driver – and whilst I suppose that doesn’t matter away from the racing, it does make it all a much more enjoyable experience!